Have you decided to start bitcoin mining in South Africa? Are you wanting to make lots of money mining bitcoin? You might need think carefully about how much money you are willing to risk, as bitcoin mining is a very risky business. After getting countless emails and cries for help from people who have tried and failed at bitcoin mining, this article is to warn people that while you can make money, you can also lose a lot of money. New users of bitcoin are the most excited about possibly earning a living from mining bitcoin, or even just to have it as another stream of income. The reality is though, that bitcoin mining is expensive, requires adequate technical knowledge of bitcoin and the mining process, as well as some level of computer skills and possible troubleshooting or problem solving skills. you can tell if someone is new to bitcoin, if they ask you how they can start mining bitcoin. Bitcoin mining is kind of the digital equivalent of the analog mining for gold. In the old days, if you were a gold miner, and were lucky, you could make a fortune. The problem was then that everybody decided to also start mining gold, and soon all the easy to find gold was gone. The harder to find gold was deeper in the ground or rock, or needed bigger and more specialized equipment to mine it. This is sort of the same with bitcoin mining. The easy to get bitcoins were mined years ago when you could use your laptop or home computer to mine a few bitcoins a day. These days you need the top of the range ASIC miners to stand a chance of mining any bitcoin, and they dont come cheap, or with a guarantee of being profitable. This is especially true since the bitcoin halving, when mining profitability was cut in half, an event that happens roughly every 4 years. No matter how much bitcoin you can mine each day, and how much it is worth, you are not profitable until you have earned MORE bitcoin than you have spent on your hardware, electricity, internet, or any other costs you might have like rent, customs fees, or even petrol. You need to FIRST cover the cost of your mining hardware and all running costs before you are profitable. Profit calculator websites on the internet generally do not offer the full picture, and many times they are completely wrong. The amount of bitcoin you mine each day is generally on a constant downward trend due to the increases in the mining difficulty. Most profit calculators will tell you what you can earn with bitcoin mining today, and then they multiply that figure by days over time, without reducing the daily amount of bitcoin you earn due to the mining difficulty increases. The fact is that your mining hardware will generate LESS and LESS bitcoin over time. Every time the bitcoin difficulty increases (it is recalculated roughly every 14 days), you generate less bitcoin, and therefore less profit. Once the bitcoin you are generating each day is worth less than your running costs, its time to turn off the bitcoin miner as it would be cheaper for you to just buy bitcoin. You need to have already covered the cost of your mining hardware and all other costs by this time, otherwise you would have made a loss. Most miners only realize they might not get a return on their investment when it is too late, because in the beginning, the first 6 months or so, the profits look good. After the 6 month window, the declines in profit are far more noticeable. Most computer hardware has a lifespan of around 3 to 5 years, and bitcoin miners are much shorter than that. You would be lucky to get 2 years of no problems or parts needing to be replaced, even the manufacturers themselves only offer a 90 day warranty on the hardware which does not instill confidence it will last for a very long time. A major curve ball in the profitability of bitcoin mining, is the ‘bitcoin difficulty’. If blocks are being mined quicker than every 10 minutes, the difficulty is adjusted, making it harder to mine bitcoin. The more miners there are, the higher the hash rate, and the quicker the blocks are mined. This results in the difficulty getting adjusted to be harder, to keep the block generation time at 10 minutes per block. So the higher the difficulty goes, the less profit you make. This year alone, there has been some large jumps in the difficulty recalculation every 2016 blocks (roughly every 14 days). Below is a chart showing the changes in the difficulty so far this year. The Change column shows you how much the difficulty has gone up (green) or down (red) in 2016. The difficulty going up 7.67% on 15 August means as a miner, you earn 7.67% LESS bitcoin from that moment onward, and are that much less profitable. This is a big problem for you if you still need to cover your costs, and every 2 weeks you are 6% less, 3% less, etc. On average, the difficulty goes up….there might be some occasional times when it goes down, but usually its up, meaning less profit. When it comes to the bitcoin difficulty, there is not really any way to be sure what the change will be month to month, so how can you work out how profitable you will be in 6 months time? The answer is you don’t really, some miners will take the average difficulty increase over time over a few months and apply that number to their calculations to work out future profits. This is a huge gamble to take, and is also affected by the price of bitcoin. If the price of bitcoin skyrockets, then it is suddenly more profitable, and many more miners suddenly turn on their previously unprofitable miners to make a few bucks. This again, means the difficulty will adjust accordingly, and in a short while, things are back to what they were again. Often you can see the correlation in the difficulty increases and decreases with the price of bitcoin. How much does it cost to run bitcoin mining hardware? Depending on what your total monthly use what you pay per kWh is on a sliding scale, but you will probably be on the top end of the sliding scale once you start mining bitcoin! 1500 W consumes 1.5kWh per hour, so 1.5 kWh x 24 hours a day x 30 (average-ish days in a month) = 1080 kWh per month in electricity consumption for this miner, give or take a little. The price of electricity varies in South Africa, but the guideline average including VAT is 147.50 c/kWh. 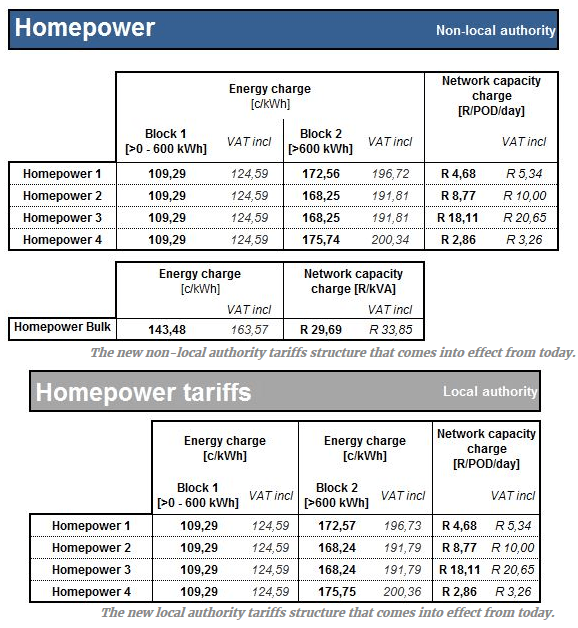 So using this guideline average with the amount of electricity the miner will use, you can say 1080kWh per month x 145.50 per kWh / 100 = around R1600 per month in electricity costs. Your cost could be more or less depending on what you pay per kWh. Unless you have a lot of money to keep putting into your mining operation, you will most likely need to sell all the bitcoin you mine immediately to cover your costs of electricity. This can also be problematic if the price of bitcoin is fluctuating, and you get less than expected, but it can also help if the price is up and you get more than expected. Most mining pools that you join when you start mining bitcoin charge you a fee, for example a popular bitcoin mining pool called F2Pool charges 3% fee of your profits. This also needs to be accounted for when you are working out how long it will take you to get your return on investment. How profitable is the Antminer S9 11.85TH in South Africa? The Antminer S9 11.85TH bitcoin miner is able to mine in the region of between 0.4BTC and 0.45 BTC per month at the current bitcoin difficulty. So at a current Rand value of around R9000 per bitcoin, that means you will be mining bitcoin to the value of about R4500 for the first month (If we are being generous). This amount will decrease gradually each month as the bitcoin difficulty increases. The bigger the jumps in bitcoin difficulty, the bigger the cuts in your mining profits. Factor in the cost of the bitcoin miner into the equation too now. Based on previous price we used for electricity, your costs for the miner and electricity for a year would be at least R45000 + (R1600 x 12) = R64200, not including internet, mining pool fees etc. If you were mining bitcoin to the value of R4500 per month for a year, you would have R4500 x 12 = R54000. Of course you would not be making exactly R4500 every month as over time that amount would be decreasing with each increase in the bitcoin difficulty. It is quite possible and likely that it would take you over a year to break even, if you are lucky enough to break even. Sometimes big jumps in the bitcoin difficulty force miners to stop mining and sell their hardware before they have broken even in an effort to stop their losses. Sometimes unforeseen problems can mean you will never break even, such as increases in the price of electricity, forced down time with load shedding which causes loss in mining time and profits, increased costs of generators or other hardware to make your mining operation work better, hardware failure, replacements and repairs to hardware etc. If the price of bitcoin goes up drastically, then technically, the value of the bitcoin you are mining is worth more! This will work for you if you paid for your bitcoin miner using a credit card, or bank transfer. Every day when you sell your bitcoin to cover your electricity costs etc, you will be able to cover those costs and more of the cost of the miner faster! This will not work in your favour if you paid for your bitcoin miner using BTC! If you paid 5 bitcoin for your bitcoin miner for example, and now the price of bitcoin skyrockets, you might be making more money in Rand value than the bitcoin was worth when you bought the miner, but if you had simply kept those bitcoin, you would have more Rand value in your pocket. The problem with this is also that if you are selling your mined bitcoin each day to cover costs, then if the price skyrockets over night, you can only benefit on the new price with the new bitcoin you mine. Some people are who believe the price of bitcoin will go up, think that it is a wiser investment to therefore not spend it, and rather keep your bitcoin for that future date. The theory is that by simply investing the money you would have used for a miner into buying bitcoin, you will save yourself the hassle and stress of mining bitcoin and possibly not breaking even. You will not have worries or problems with electricity, internet, hardware problems and troubleshooting, noise and heat from the miners, buying and selling bitcoin to cover costs and possibly losing a lot of money. By just investing in buying bitcoin, you are also able to sell your bitcoin at any time to get back your investment instantly, while with mining, you are stuck, and dont have a cent profit until you have covered all your costs. If the price of bitcoin skyrockets while you are holding bitcoins, you will have a lot more value in your pocket immediately, while if you are mining, you might miss out. You can make money mining bitcoin, and you can lose money too, so the best thing to do is to not rush into it. Do your research thoroughly, and learn as much as you can first. If you are confident that you can make a profit, and will have the skills to run a bitcoin miner properly, it can be a lot of fun, and make you some money at the same time. Just dont go into it blind to the possibility that you might lose money. Learn about bitcoin, and the mining process before you rush out and buy a bitcoin miner, learn how to trade bitcoin so that you can pay for your running costs, learn all you can first.